If you've been keeping track or paying attention, this eating adventure would mark the third time in 3 days I've eaten a bowl of Pho. To some, that might seem excessive. To me, I just love Pho. I actually had it 3 times in one day once. One of the reasons I chose to have a steaming hot bowl of soup noodle in some pretty warm weather was to do a comparison with Pho on Chopsticks (which I visited the day before). Paying $11.00 and $9.00 respectively for Pho and Banh Mi was a little unsettling (even if the decor and presentation were nice...). I wanted to experience the "usual" pricing of Vietnamese eats and at a place which was still in Surrey. 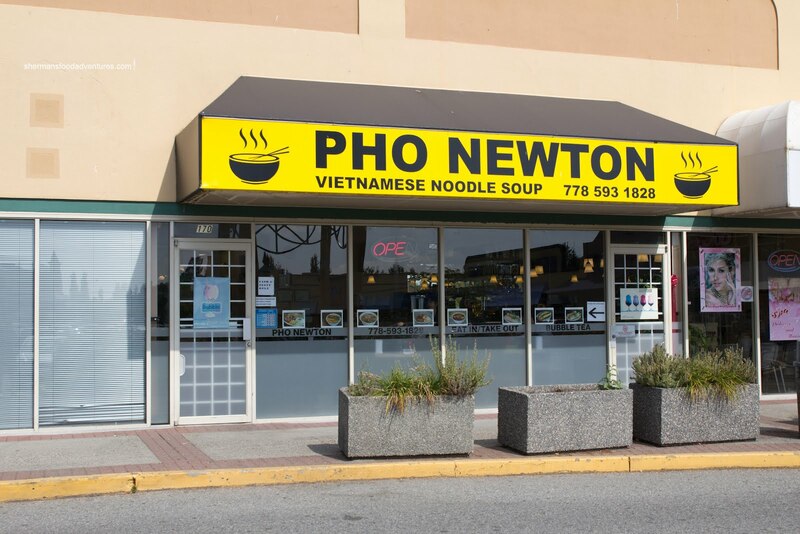 That would be Pho Newton... in well, Newton. I went with the usual being the Pho Dac Biet which consisted of most of the meats including brisket, flank, rare steak, meatball, tendon and tripe. There was a significant amount of meat atop the al dente noodles. All of which were sliced thin and tender. The meat was moist and not dry-at-all including the rare steak. As for the broth, I took a sample before adding all the condiments and it was very light, sweet and had a noticeable hint of daikon. 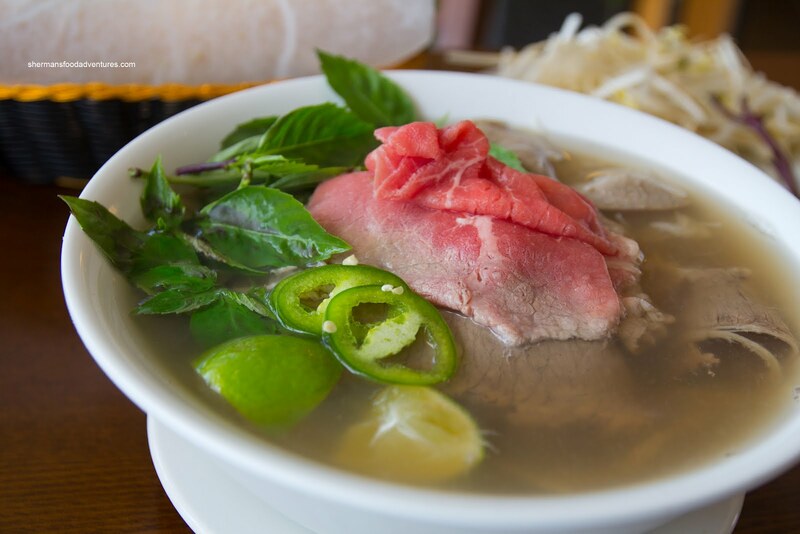 When I started eating the bowl of Pho as a whole, the broth was quickly overwhelmed. I would go as far as saying it was pretty bland. Not happy with just a bowl of Pho, I also had the Newton Special Banh Mi. It was an interesting mix of the usual Vietnamese ham, pickled daikon and carrots, pate, butter-mayo and cilantro with a meat that resembled regular ham and shredded lettuce. Not a typical combination, but in the end, it did taste good. I like how the flavour of the pate came through, however, th e pickled vegetable could've had more zip. 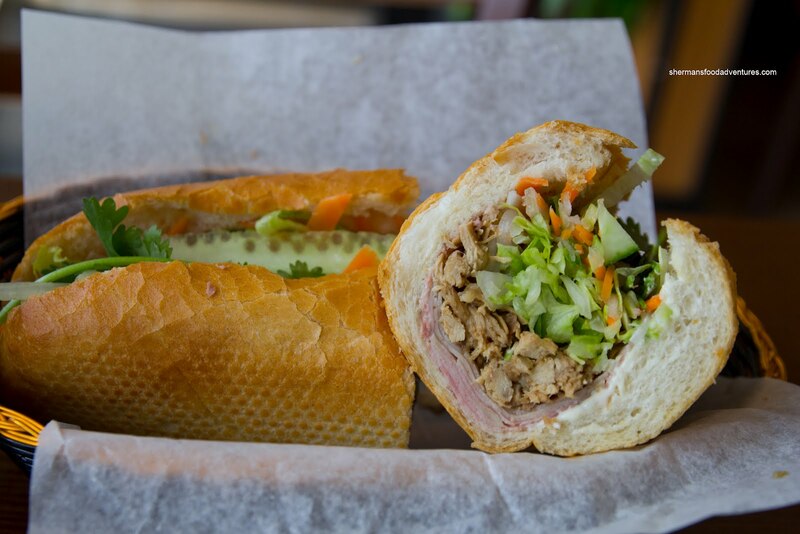 The baguette was light, airy and crunchy. 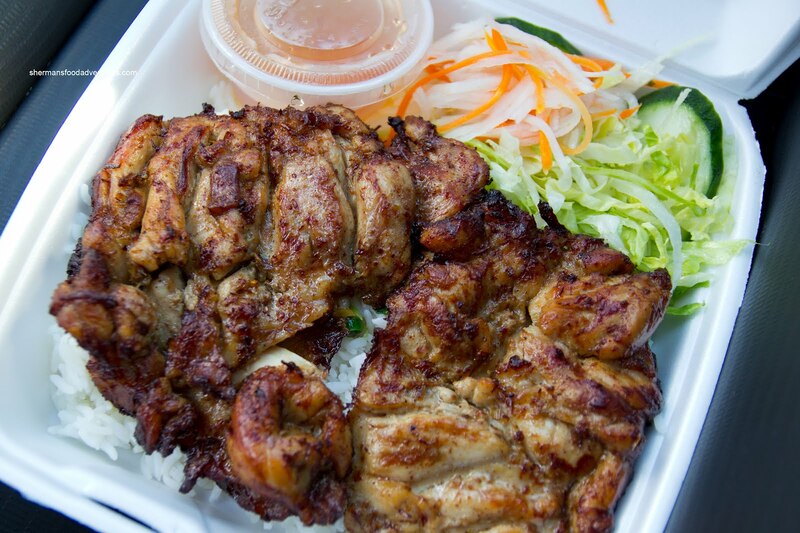 Now, not long after, I went back to get takeout in the form of the Lemongrass Chicken on Rice. For $10.00, it wasn't cheap, but it was a significant amount of food. There were 2 large deboned chicken legs which were cooked up beautifully. There was both good colour and flavour. Furthermore, the chicken had a texture which I can only describe as "fully-cooked, yet not dry". I struggled to finish the whole thing. This was the best of the 3 dishes I had tried at Pho Newton. 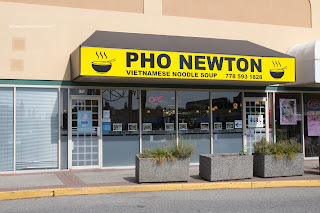 Although not my first choice for Vietnamese in Surrey, Pho Newton does the job, especially with the lack of good options nearby.